The Dartington Crystal square spirit decanter is traditional in shape but has a modern contemporary style. 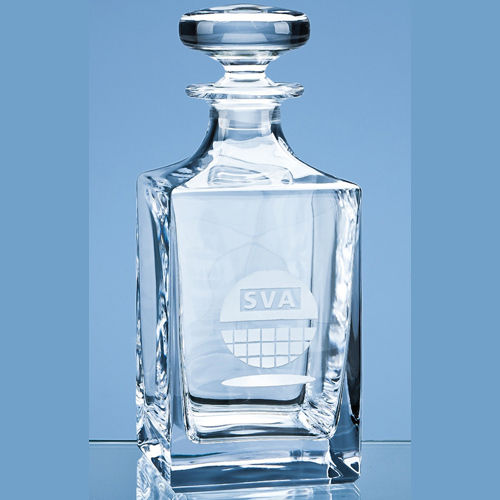 It benefits from a large engraving area that can be personalised with any crest, logo or wording to create a gift that is sure to be treasured by it's recipient. It is supplied in a Dartington Crystal gift box.